SINCE THE 2016 PRESIDENTIAL ELECTIONS, Americans have been treated to a daily diet of news about the depth and breadth of Russian disinformation sloshing around on social media and dropped into the sweaty hands of various Trump campaign apparatchiks. In 2017, the U.S. Department of Justice forced the multimedia news service RT (formerly Russia Today) to register as a “foreign agent” due to its electoral interference. There seems little doubt that the Kremlin has actively deployed incendiary memes, misinformation, and rumors to manipulate targeted populations in the United States. But few realize the history of the United States' own efforts to confuse, manipulate, or otherwise influence foreign populations in Russia and Eastern Europe throughout the forty-five-year history of the Cold War. Nimble free-market propagandists working with the United States Information Agency (USIA) placed a wide battery of materials into libraries maintained by federal officials throughout the world. 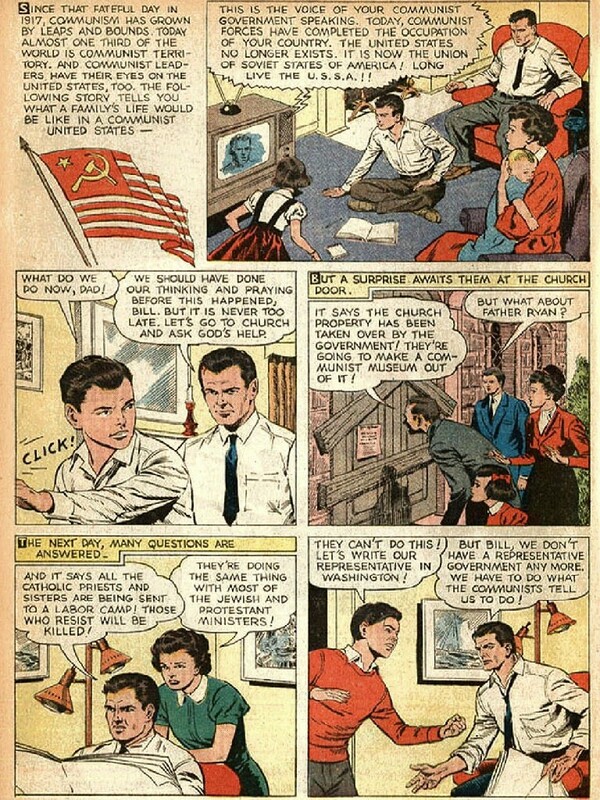 They also, more famously, beamed a steady stream of pro-American and anticommunist broadsides to radio audiences in the USSR's geopolitical orbit, via broadcasts on the Voice of America, Radio Free Europe, and Radio Liberty networks. Over the long course of the American Cold War, such efforts amounted to a separate global information offensive, conducted at the expense of American taxpayers. And that massive publicly funded initiative ultimately created a receptive cultural and political climate for private American corporations which expanded into the new markets opened up by the collapse of state socialism in Eastern Europe—often trailing the fallout from oligarch-enabling “shock therapy” investment boondoggles in their wake. To really understand the spread of internet- enabled disinformation throughout the American mediasphere, in other words, it's well worth revisiting the pioneering role that our own state-sponsored propaganda outlets played in the Cold War's epic battles over the shadowy traffic in disinformation throughout the Soviet bloc and beyond. The saga began humbly enough, with a congressionally sanctioned campaign to spread American-branded goodwill throughout the world. Peacetime American propaganda efforts in Eastern Europe were formally launched with the passage of the 1946 Fulbright Act, which established a Bureau for Educational and Cultural Affairs within the State Department to oversee exchange programs—though as we'll see, there was a robust campaign from the measure's eponymous sponsor, Democratic lawmaker William Fulbright of Arkansas, to quarantine his pet program from the mandates and messaging of state propaganda.